When Do You Need to Obtain an Audit? Home > Blog > Audit Support > When Do You Need to Obtain an Audit? Unless they are required to by a lender or potential investors, small and mid-sized firms often choose not to have their financial statements reviewed or audited. There is not only a financial cost to having an audit performed, but the audit process may require a significant commitment of time on the part of the owner or CEO and senior financial staff. But if your company finds itself in a situation where a lender or potential investor requires audited financial statements including footnote disclosures and you don’t have them, you could be facing a serious challenge. For example, if you didn’t use professional accounting expertise during the company’s infancy stage, the financials may need significant revisions in order to comply with generally accepted accounting principles (GAAP). § Published financial statements could be misstated due to the lack of a professional review. § Lenders and potential investors may become discouraged from providing funding, which could prevent the company from taking advantage of growth opportunities. § The catch-up time required to do multiple-year audits can be costly and time consuming if the company falls behind in getting their audit performed. § A lack of audited financial statements can lead to diminished investor confidence and even result in a potential legal risk if investors feel like they were misled by unaudited statements. If you need to have your company’s financial statements brought up to GAAP standards for an audit but don’t have the requisite expertise on your staff to do this, you should consider hiring an outsourced CFO services provider to help you with this important task. An experienced outsourced CFO will have worked with lenders and investors previously so he or she will have a good understanding of what their expectations are in terms of your financial statements. In addition, an outsourced CFO will be able to tell you if an audit is truly necessary, or if a less-expensive and less time-consuming review might suffice instead. If it is determined that an audit is necessary, the outsourced professional will possess the technical accounting skills necessary to complete the audit as quickly and efficiently as possible. He or she will also help you understand all the different components of the audit to ensure the best value for your company. § Audited financial statements will provide management with assurance that the information that is being generated is both technically accurate and in compliance with GAAP. § Lenders and investors will be more inclined to lend money to or invest in your business because they will have greater assurance that the financial statements are accurate and complete. § With a completed audit process in the books, your accounting practices will be institutionalized, thus reducing compliance time going forward. § Your legal exposure will be limited due to the fact that your financials have been professionally audited and found to be in compliance with GAAP. Due to the costs involved, small and mid-sized firms often choose not to have their financial statements reviewed or audited. But you could face a serious challenge if a lender or potential investor requires audited financial statements and you don’t have them. 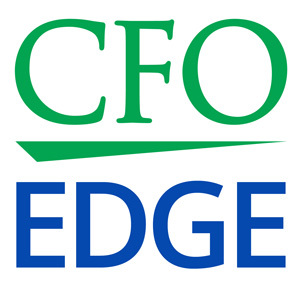 If your staff doesn’t possess the technical accounting skills required to bring your financial statements up to GAAP standards, you should consider hiring an outsourced CFO services provider to help you. An outsourced CFO will have a good understanding of what lenders’ and investors’ expectations are in terms of your financial statements and can tell you if an audit is truly necessary, or if a less-expensive and less time-consuming review might suffice instead.